German physician and skilled amateur astronomer who discovered the asteroids Pallas (1802) and Vesta (1807), rediscovered Ceres based on a position predicted by Carl Gauss, and found five comets (in 1798, 1802, 1804, 1815, and 1821) one of which (that of 1815) bears his name. He also formulated a method of calculating the orbits of comets (1779), which became standard in the 19th century; rediscovered the planet Uranus (1781); proposed that the pressure of light is responsible for comet's tails always pointing away from the Sun (1811); and first drew attention to what became known as Olbers Paradox (1823). Olbers was a supporter of pluralism and of the increasingly contentious idea that the Moon was inhabited by intelligent beings . In the same paper in which he presented his famous paradox, he wrote that it is "most highly probable" that "all of infinite space is filled with suns and their retinues of planets and comets." 2 کاربر مقابل از هانیه امیری عزیز به خاطر این پست مفید تشکر کرده اند. Also called Olaus, a Danish astronomer who first showed that light has a finite velocity. He noticed that jupiter eclipsed its moons at times differing from those predicted and correctly concluded that this was due to the finite nature of light's velocity, which he calculated as 227,000 km/s (the modern value is 299,800 km/s. The Giuseppe Piazzi Biography basically begins when he became a Theatine monk. He went onto study both Mathematics and Astronomy. After his interest in Astronomy grew Piazzi obtained a grant from Prince Caramanico, Viceroy of Sicily. He built an observatory on top of one of the towers at the royal palace. It was here that Piazzi discovered what he believed was a star. After studying it for four days he reasoned it was a planet located between Mars and Jupiter. He was afraid to announce it as such and instead claimed to have found a new comet. He later wrote Barnaba Oriani that he really thought it was something more than a comet but was afraid to announce it as such. Carl Friedrich Gauss later determined the Piazzi was right and it was a small planet. Piazzi named it Ceres after the Roman and Sicilian goddess of grain. It turned out to be the largest of the asteroids. The Giuseppe Piazzi Biography goes on to tell of his work in the publishing two new star catalogues. The second catalogue contained over 7600 stars. In 1923, the 1000th asteroid was named 1000 Piazzi in his honor and more recently the Hubble telescope captured what appears to be a crater on Ceres. It has been informally named Piazzi. 3 کاربر مقابل از Amin-Mehraji عزیز به خاطر این پست مفید تشکر کرده اند. American astronomer who discovered the first white dwarf star. The son of American missionaries, Adams was born in Syria. He followed his Dartmouth professor, Edwin Frost, to Yerkes Observatory in 1901, and accompanied his Yerkes director, George Hale, to Mount Wilson Observatory in 1901. 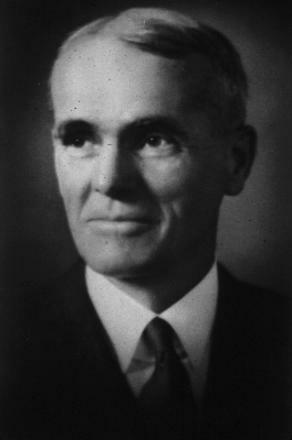 Adams served as director of Mount Wilson from 1923 to 1946. 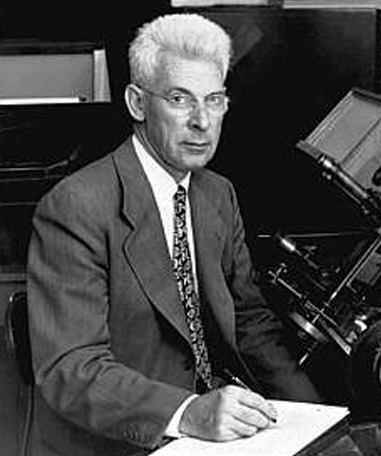 His spectroscopic studies of the Sun and stars led to the discovery, with Arnold Kohlschütter, of a spectroscopic method for finding stellar distances: they showed that the relative intensities of spectral lines could be used to determine absolute magnitudes of both giant and main sequence stars. With Hale, he worked on the discovery of magnetic fields in sunspots and used photography to measure the differential rotation of the sun. His spectroscopic observations of the martian atmosphere in the 1920s and 1930s showed that Mars was unlikely to support anything but the most primitive kinds of vegetation . With Theodore Dunham, Jr., he shared the discoveries of carbon dioxide in the atmosphere of venus and the molecules CN and CH in interstellar clouds. Adams identified Sirius B as the first known white dwarf, and his measurement of its gravitational redshift was taken as confirming evidence for the general theory of relativity. Johann Elert Bode is one of the greatest German astronomers famous for his “Titus-Bode Law” that became significant in determining the orbit from Uranus. Bode was born in Hamburg. His father, Johann Jakob Bode, worked as a merchant. During his childhood years, he suffered from an eye disease that caused blindness in his right eye. Unlike the rest of the astronomers, Bode never had formal schooling yet his father introduced him to merchandising. Bode’s interest in astronomy, mathematics and geography started in 1765 when his father’s personal physician Heinrich Reimarus introduced him to Johann Busch, a professor of mathematics from Hamburg. With the help of Busch, Bode wrote and published a book entitled “Bode 1766”. Bode started conducting formal studies in astronomy and mathematics at an early age of 19. Among his early notable observations includes the “Venus Transit” in June 1769 and “1770 Comet”. In 1768, Bode published his second book entitled “Instruction for The Knowledge of the Starry Heavens”. The book was released in multiple editions. The second edition of the book contained thorough observations on the “Empirical Law of Planetary Distance” which was initially revealed by J.D Titus. Bode applied some of Titus’ conclusions and finally named it as the Titus-Bode Law during the late 17th century. Bode went to Berlin in 1772 after accepting the job of teaching math and astronomy at the Berlin Academy of Sciences. The academy’s astronomy head and Berlin Observatory Chief Director Johann Bernoulli became impressed with his interpretation on the calculations of the “Schlesien Calendar” by Christine Kirch. He worked with Christine’s great grandfather Gottfried Kirch and Lambert for the foundation of the “German Astronomical Yearbook and Ephemeris” in 1774. Laplace, Pierre Simon de, Marquis de Laplace, a French astronomer and mathematician. Laplace explored almost every branch of the physical sciences. For his Celestial Mechanics (5 volumes, 1799-1825), he is called the Newton of France. In this work Laplace showed that the movements of the solar system were in conformity with Newton's theory of gravitation. He convinced his age that the solar system was a stable self-regulating machine. He proposed the theory that the solar system developed from condensed gases. 4 کاربر مقابل از Amin-Mehraji عزیز به خاطر این پست مفید تشکر کرده اند. German astronomer (also known as Mayr) who named Jupiter's Galilean moons. He and Galileo both claimed to have discovered them in 1610 and likely did so independently. Marius was also the first to observe the Andromeda Galaxy with a telescope and one of the first to observe sunspots. Bessel, Friedrich Wilhelm (1784-1846), a German astronomer, was the first to measure stellar parallax, an apparent change in a star's position as a result of the earth orbiting the sun. Bessel functions, the mathematical functions that he derived, are still used extensively in physics. While an apprentice at a mercantile firm, Bessel taught himself navigation and astronomy. In 1804, he calculated the orbit of Halley's Comet based on observations made in 1607. He sent his work to astronomer Wilhelm Olbers, who encouraged him to make further observations and improve his calculations. Olbers then saw that Bessel's work was published and recommended him as assistant at the observatory in Lilienthal. Germany. After four years there, Bessel became director of the observatory at Königsberg, where he remained the rest of his life. In 1810, he also became professor of astronomy at the University of Königsberg. Around 1817, Bessel introduced a set of mathematical functions, now called Bessel functions, to help understand the movements of three bodies under mutual gravitation. Bessel's contributions to geodesy, the mathematics related to the size, shape, and gravitational field of the earth, included his 1841 calculation of the amount by which the earth's shape deviates from a sphere. Bessel laid the foundations for establishing the scale of the universe. He accurately measured the positions of about 50,000 stars and observed very small motions of one star relative to another. He showed that 61 Cygni, the star with the greatest proper motion known to him, apparently moved in an ellipse yearly. Bessel attributed this motion, called parallax, to the motion of the earth around the sun. By calculating the distance from the earth to 61 Cygni, Bessel became the first to accurately measure the distance of a star other than the sun. He also predicted the existence of another planet beyond Uraunus—Neptune—which was discovered after his death. American astronomer who discovered Jupiter's moons Lysithea, Ananke, Carme, and Sinope, and also did important work on sunspots. Nicholson was educated at Drake University, Des Moines, Iowa, and at the University of California (Ph.D., 1915). As a graduate student at the University of California he was photographing the recently-discovered eighth moon of Jupiter (now known as Pasiphae) with the 36-inch Crossley reflector when he discovered a ninth (Sinope). He computed its orbit for his Ph.D. dissertation. At Mount Wilson Observatory, where he spent his entire career, he discovered three more Jovian satellites, as well as a Trojan asteroid, and computed the orbits of several comets and Pluto. His main work at Mount Wilson involved observing the Sun with the observatory's tower telescope, and he produced annual reports on sunspot activity and magnetism for decades. He and Edison Pettit used a vacuum thermocouple to measure the temperatures of the Moon, planets, sunspots, and stars in the early 1920s. Their temperature measurements of nearby giant stars led to some of the first determinations of stellar diameters. Thomas J. Johnson, the creator of the modern Schmidt-Cassegrain telescope and the founder of Celestron, died early yesterday morning (March 13, 2012), according to Celestron president and CEO Joe Lupica. Johnson was 89. He ranked among the most important figures shaping the last half century of amateur astronomy. Johnson was in his early 30s when, in 1955, he used his World War II experience as a radar technician, and postwar employment in the electronics industry, to establish a company called Valor Electronics. Based in Gardena, California, Valor made various components for military and industrial customers, and by the early 1960s it had expanded to roughly 100 employees. As Valor was growing, so too was Johnson’s own interest in amateur astronomy. After first purchasing 4-inch and later a 10-inch Newtonian reflector, Johnson then headed down a path followed by many amateurs of the day and turned to the hobby of telescope making. The first scope he made was an 8-inch f/4 rich-field Newtonian, soon followed by a 12-inch Cassegrain. Meanwhile, in 1960 he established an "Astro-Optical" division of Valor.